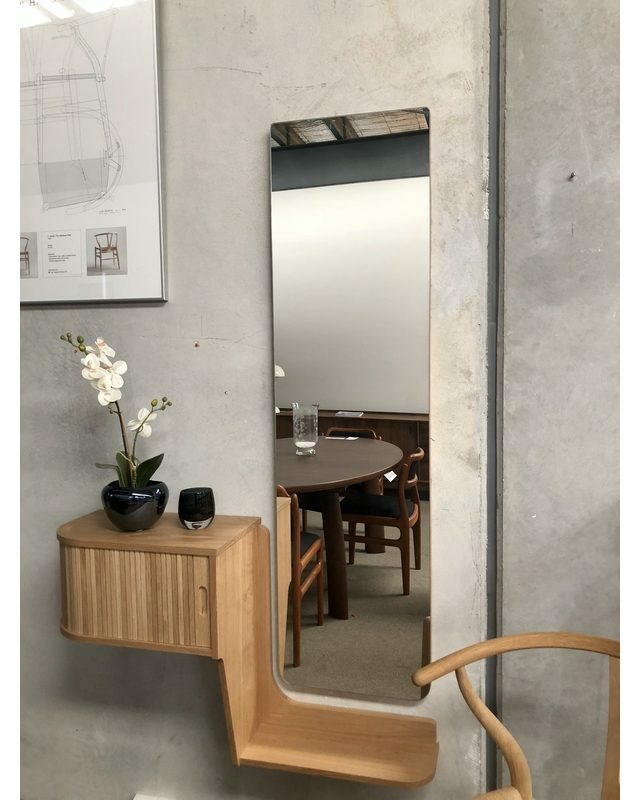 Hallway no. 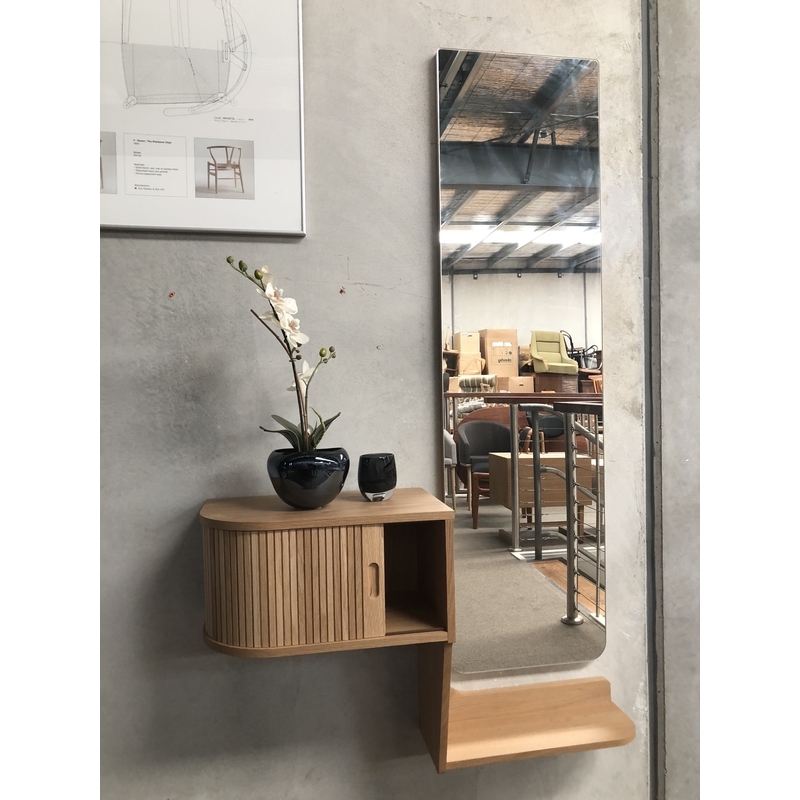 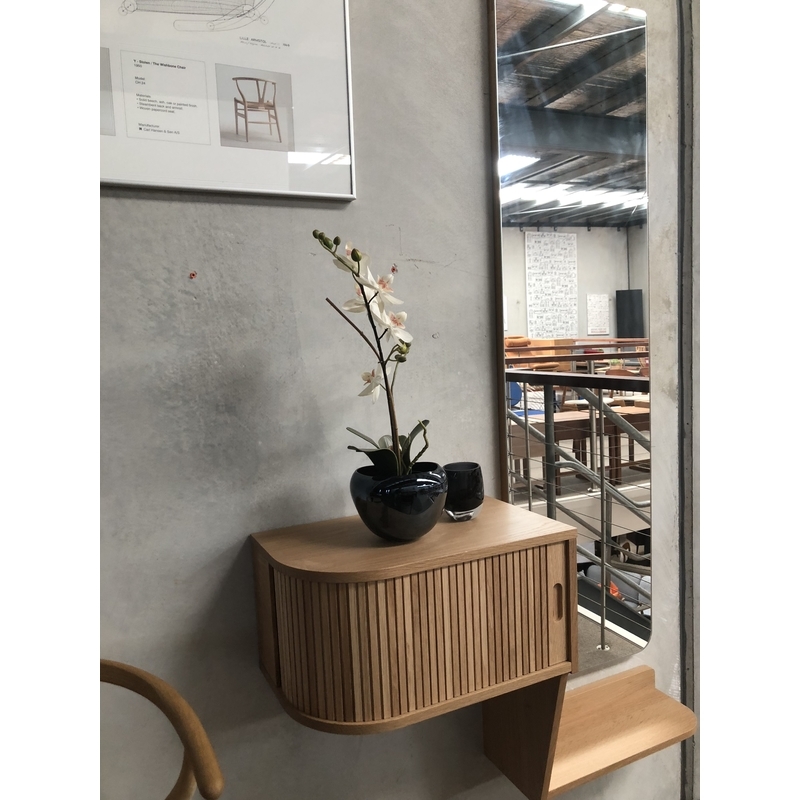 127 is a wall-mounted storage unit combining a console table, storage compartment and a mirror to check yourself out before leaving home. 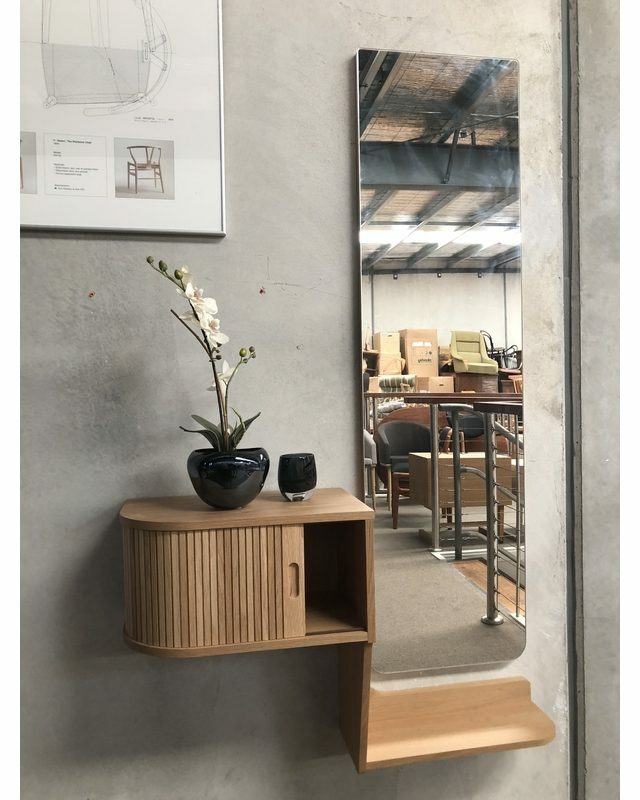 The storage compartment features a tambour sliding door that rolls seamlessly into the back, a nowadays rare technique that is not only pleasing to the eye but is also functionally ideal as it minimizes the space needed. 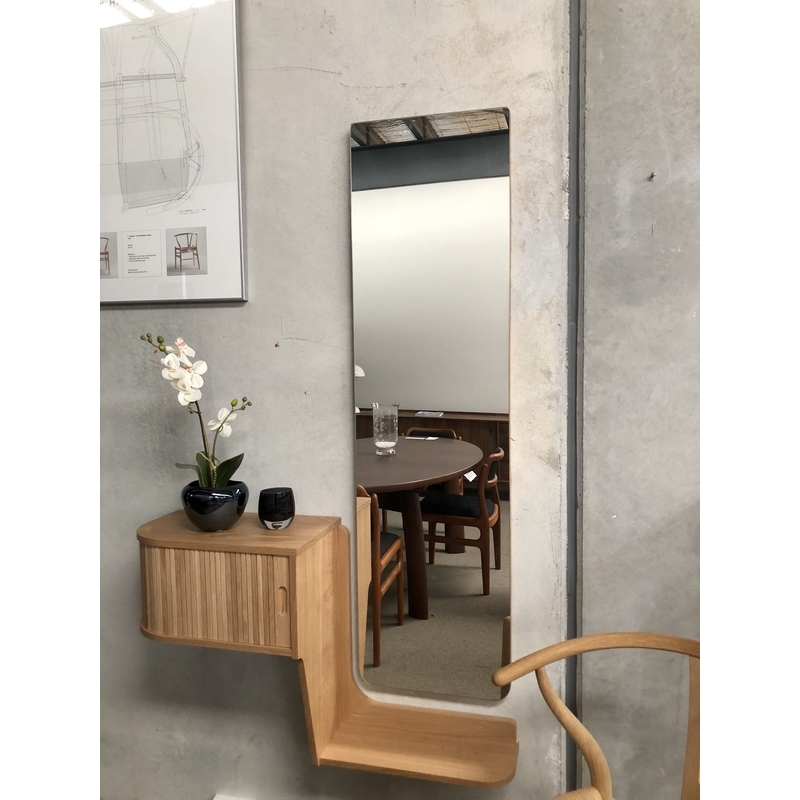 A vertical wall mirror on a frame of wood with finger-jointed corners is further visual proof of high quality cabinetmaking. 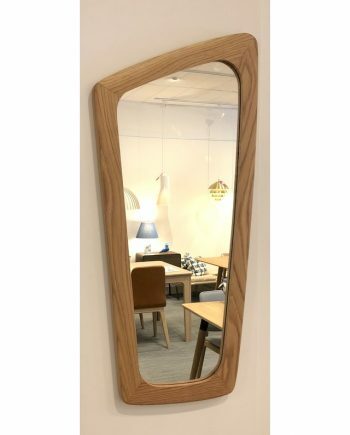 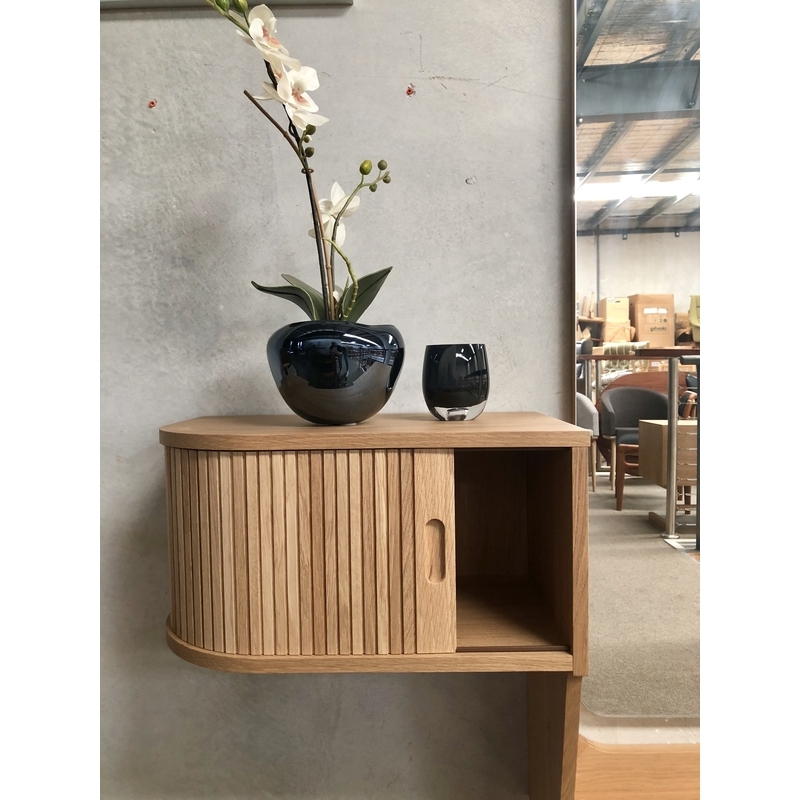 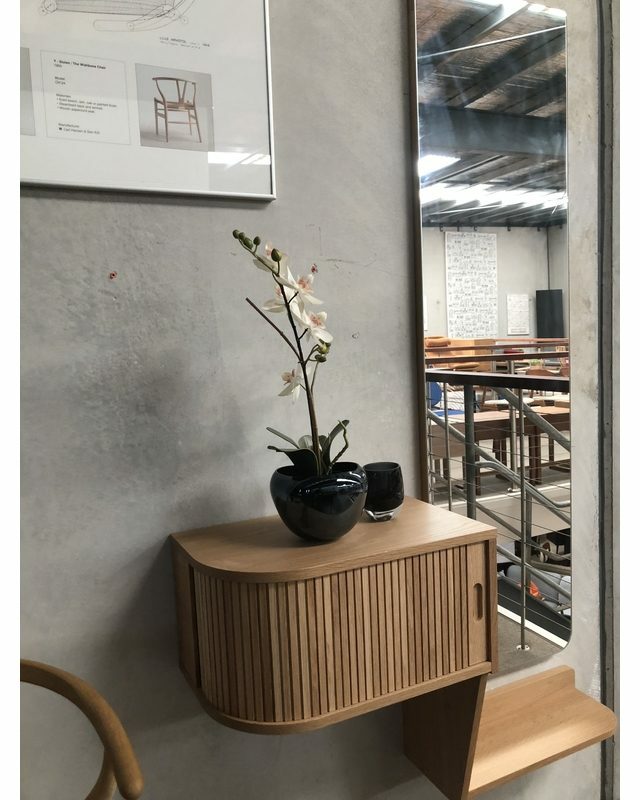 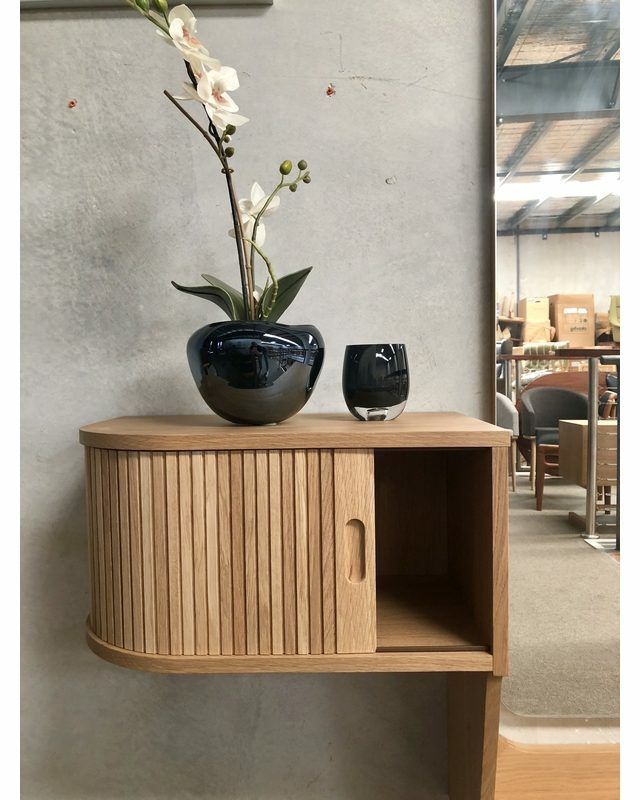 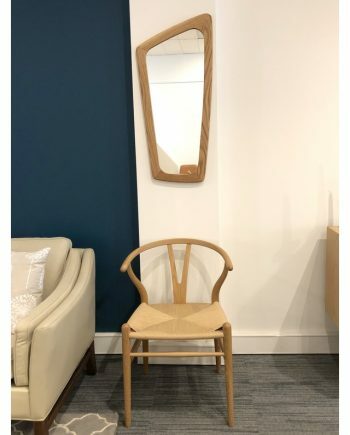 Beautiful, clean lines and distinctive grain pattern in the wood give the pieces a unique character, a stylish, sophisticated and functional addition to any hallway or bedroom. 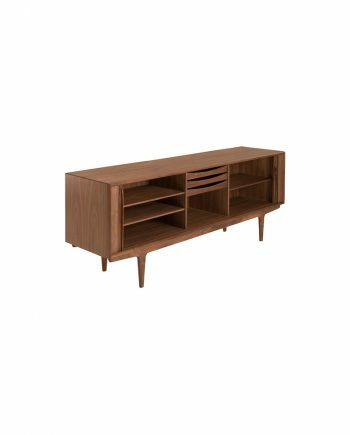 Designed in 1955 and the essence of Danish Modern with its clean lines, functional design and expert craftsmanship the Hallway No. 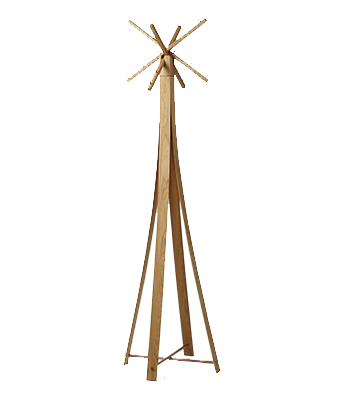 127 is made of solid wood and available in oak and walnut. 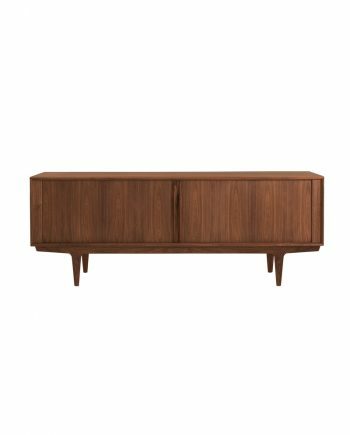 Every piece is made in Denmark and individually numbered upon final assembling. 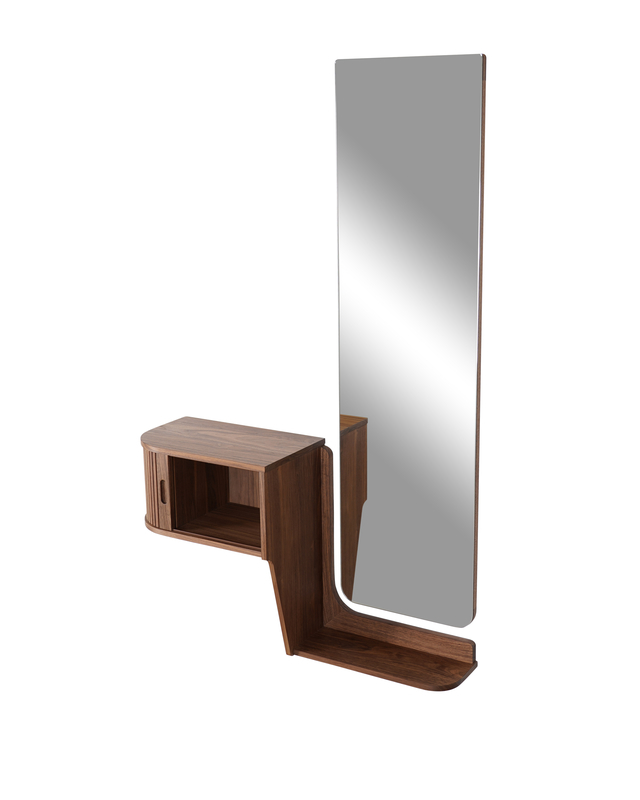 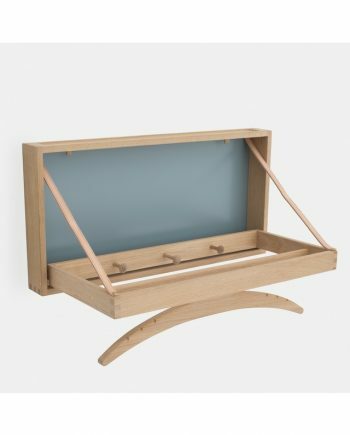 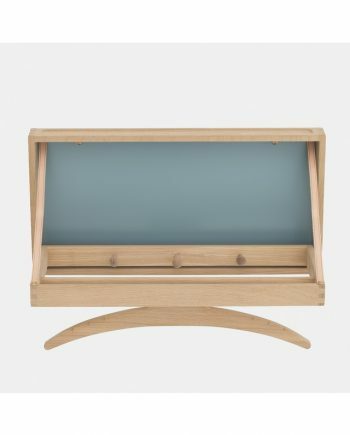 Materials: Available in solid oak or solid walnut, in natural oil finish.